If you’ve been following our Good to be Home blog, you may or may not have noticed motorbike racer Daniel Brooks’ name come up time and again. 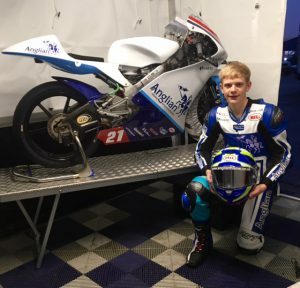 That’s because for the last few years, we’ve been sponsoring him as he embarks on his motorcross journey, whipping around UK tracks in Anglian blue. We’ve loved not only watching him take to his bike, but seeing his career progress too. 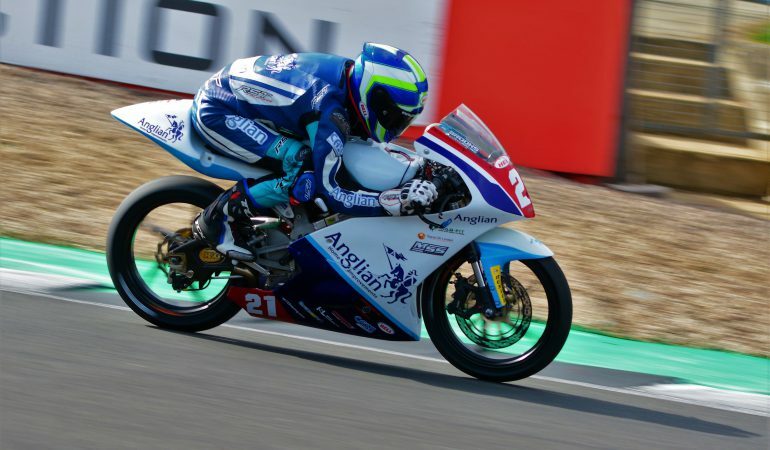 This weekend he’s heading down to Brands Hatch in Kent for the final round of the Bennetts British Superbike Championship, but in the meantime, we thought it was time to ask Daniel to slow down for a few seconds so we could get to know the young man under the helmet. 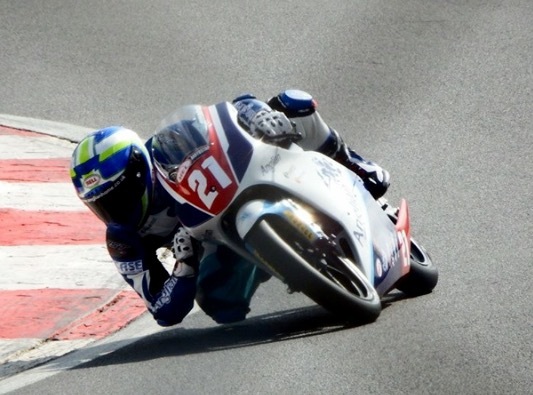 Anglian Home Improvements: How did you first get into racing? Daniel Brooks: I was born into a racing family; my dad raced and his dad also raced, so I followed in the family footsteps. I started riding when I was three years old on a PW50 and got into racing when I was six. After winning the club championship when I was 11 years old, I went to race in the British Championship finishing in the top 10. At the start of 2017, I made the switch over to road racing and entered the Hel Performance British Motostar Championship at the start of 2018. AHI: What has been your biggest achievement this season, and what do you hope to work on for the future? DB: My biggest achievement this season was at Cadwell Park, achieving sixth place; this was a great result for me as it was my first season in the British Moto 3 class. I started to battle with the riders at the front of the championship and I’ve now found some consistency and had a great ride at Oulton Park with an eighth and ninth [finish] in both races, being a few seconds off the podium. For the future, I’d like this to become my profession, and I’ll do whatever it takes to achieve my goals. AHI: You’ve been racing for a few years now, and we’ve loved following your career. How do you think you’ve progressed since starting? After everything you’ve learned now, what would you tell yourself as you were just getting going? DB: Since I started racing, I’ve always had a desire to win, but have learned that you have to be patient and you have to learn the trade. I’ve learned there’s much more to racing motorbikes than the riding bit. You must be fully prepared. I’ve learned a lot about nutrition and have a personal trainer to help with my conditioning, and I also cycle miles every week to keep physically fit. I spent a lot of time training in Spain with my rider coaches Matt Bulchin and Alex Murley, and have spent a lot of time learning about the data on the bike and the bike set up. In Moto 3, the margins are so close that you must take every advantage to win. I’d tell myself to stay focussed, be patient and to believe in myself, and the results will follow. AHI: Do you ever get nervous before a race? How do you manage it? DB: I get nervous before every race; I manage the nerves by listening to music to get me in my zone, and go over track maps so I can visualise what I’m going to do so that when I get on the track, I know what I need to do. AHI: What’s the key to having a successful race? Is it all to do with the track or the atmosphere, or just how you feel that day? Everything at once? DB: To have a successful race, I think the key is to be positive and believe in yourself and the bike. The run up to the race is important, as you need a good bike setting for that track; knowledge of the track helps, so that in your mind, you’re confident. The atmosphere does play a part; if there’re over 50,000 spectators and worldwide TV coverage, you’ll want to do well to get your name out there and get noticed by people. I also believe that a key to success is to be fully prepared. AHI: Riding a motorbike looks like the ultimate adrenaline rush! If you could compare what it feels like to ride a motorbike in competition to anything, what would it be? DB: Racing a motorbike is a big adrenaline rush, but I can’t compare it to anything else because nothing else does compare to it. It’s a totally different feeling to anything else I’ve experienced at this point in my life. Make sure to watch Daniel this weekend at Brands Hatch as he heads out for the final leg of the Bennetts British Superbike Championship!